Have you had a Vitamix blender for a while now and you start seeing that cloudy film in your container that just won’t go away? Then this guide into cleaning a Vitamix container will hopefully help you in making it look like brand new again. Or perhaps you have only recently bought a Vitamix blender and you want to make sure the container stays clean? Make a habit of regularly cleaning it the right way so that nasty stains won’t ever appear. A Vitamix blender isn’t cheap so you want to make sure it stays in good shape for as long as you have it in your kitchen. Vitamix containers are very durable, but that doesn’t mean that you don’t have to look after them. Lucky for us, cleaning a Vitamix container is actually very easy. And with a bit of effort, you can keep your Vitamix container looking clean and shiny for many years to come. Chances are, if you’ve had a Vitamix container for a while, it likely has that stubborn cloudy film on the inside. Trust me, you’re not alone. We’ve all been there, including myself. Before we go into the why and the how of that mist build-up in your precious Vitamix container, let’s see what we can do to prevent it from happening in the first place. Each time after using your Vitamix blender, you will need to clean the container. The easiest way to do this is by putting a few drops of soap in the container, add a few cups of hot water, and blend for a minute or so. If you’ve never done this, you’ll be surprised how effective this process really is. Use the high speed setting for this, or the purpose-built cleaning setting if your blender has that option. Once it’s clean, simply pour out the soapy water (it’s probably hot! ), rinse carefully and let it drip-dry upside down. Now, most people would stop here, but I prefer to carefully dry the container instead of letting it drip-dry all by itself. It’s just a habit of mine to dry dishes after washing them so I can put them away. I’m also not a fan of the little water drop stains that always show up after drying. I even take it as far as turning on the Vitamix for a minute after drying, just to blow away any left-over moist sitting at the blades. You really don’t need to do this if you don’t want to, it’s just something that I prefer to do. The cloudy mist you often see in used Vitamix containers is the build-up of minerals from the vegetables and fruits you’re blending. It’s actually a very common phenomenon as not many people do a deep clean of their Vitamix container. It’s good to keep in mind though that this film or mist is not all an immediate threat to your health or anything, it just doesn’t look very appealing. I’ve also heard people suggesting to leave the solution with water sitting in the container for a while, or even overnight, before turning on the blender. I haven’t tried this myself yet, but it sounds like a reasonable approach. What also works is adding a bit of pure lemon juice to make the solution even more potent. If you find that there are still bits of cloudy film in the container, pour some baking soda and vinegar in a cup and use a tooth brush to remove these remaining spots. Check out this video that shows you how it works. It’s not exactly the same as described above, but it’s okay to play around with slightly different cleaning methods to see what works best for you. I often use turmeric in my green smoothie recipes as it’s the easiest and quickest way to enjoy the health benefits of this spice. Although I’ve never had nasty turmeric stains in my Vitamix container, I have seen others that had a very obvious yellow/brown layer on the inside. I’m sure the above method should help getting rid of this type of stain as well. If it doesn’t go away that easily, try putting your container in bright sunlight for a while and then clean it with baking soda, vinegar and water. You may need to use a brush for this for better results. 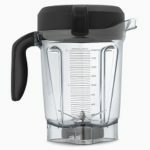 Is a Vitamix Container Dishwasher Safe? Technically, yes, most Vitamix containers are dishwasher safe. But I would never recommend getting a machine to clean your Vitamix container as it will definitely speed up the process of wear and tear. Vitamix also does not endorse using a dishwasher, instead they recommend using the famous self-cleaning method. In fact, using a dishwasher can actually void their amazing warranty. 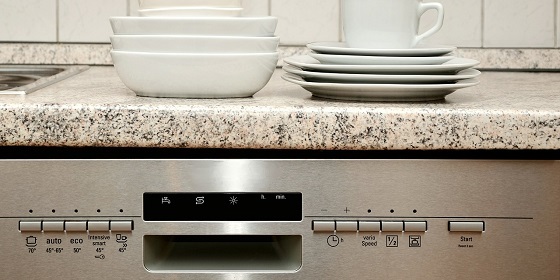 According to Vitamix, the only containers that they recommend can go safely into the dishwasher are the container cups. These compact take-away containers are a lost smaller than the conventional container models, but even with these cups I would still manually clean them. Apart from the physical wear and tear, I also believe that dishwasher detergents can be a cause of that cloudy film build-up in your container. Some detergents are chemical cocktails that can cause damage to your container over time. This type of damage is very hard to get rid off, if not impossible. Check out the latest green smoothie recipes and blending tips. Vitamix has made it very easy for us green smoothie fanatics to clean the container. Believe it or not, but the best part of the whole blending process is the self-cleaning bit at the end. 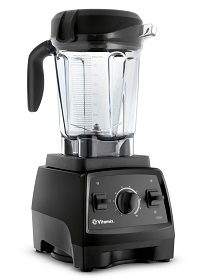 It’s fun to see my Vitamix blender clean itself just by pressing a button. And it really does work! But you do need to do a few extra things every now and then to avoid getting that misty residue in your Vitamix container. It’s really not a big deal, and if you make a habit of it, you can keep blending for a long time to come without worrying about ugly stains and mist. As a final note, no matter how tempting it may be, please don’t put the container in your dishwasher. I’ve been tempted many times, but I always stick to manually cleaning my Vitamix container.